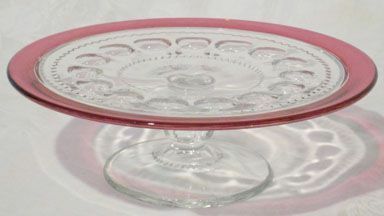 Indiana King's Crown Luncheon Plate, 8.3" across. 7 are available, all in mint condition. Indiana King's Crown water stems are 5.5" tall and 3" wide at the top. They are slightly flared and all in mint condition. 8 are available. 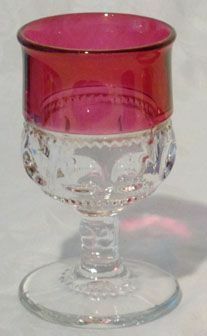 Indiana King's Crown Sherbet is 3.25" high, 3.5" wide. 8 are available, all in mint condition. 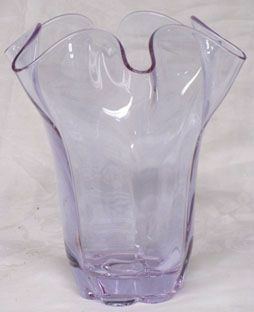 Tiffin June Night Bud Vase, 10.5". June Night etching was made from 1941-58. 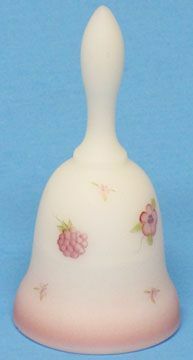 This vase is in mint condition. Fenton made this 3.5" Green Hobnail Fan Vase in the 1950's. It is in mint condition. 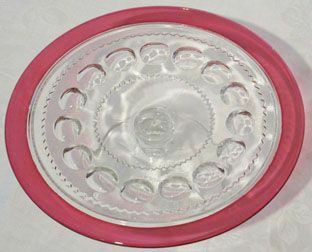 Hocking Green Bubble 8" Bowl is in excellent condition. Produced from 1934-65. Fenton Blue Satin Praying Boy. Only have the boy, which needs the other girl to complete the set. 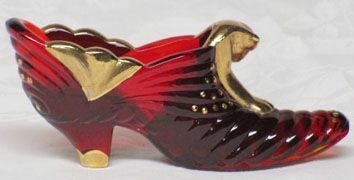 Stands 4" tall and is in excellent condition. 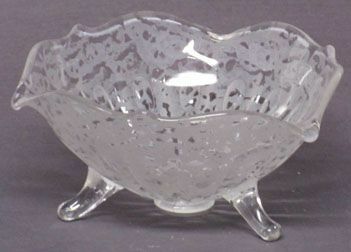 Imperial Candlewick 5" Cereal Bowl. 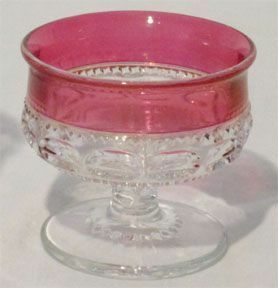 We have 8 of these bowls available. All in mint condition. 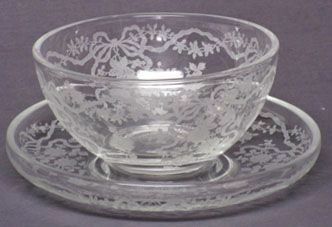 The Candlewick pattern was made from 1936-82. Fenton made this blue opalescent Lily of the Valley Pedestaled Covered Candy was made in the 1970's. 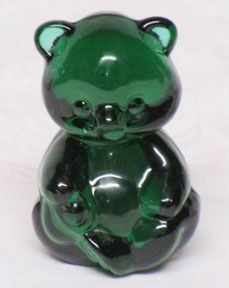 It is 8.5" tall and is in excellent condition.